With this tutorial, choosing the best gaming keyboard will be such a child’s play. The gaming keyboard is a magic tool that puts you in a compelling fully digital world. There are basically two different types, depending on their structure design. Even if it’s a bit noisy, the mechanical keyboard is the most long lasting, reliable and precise one. 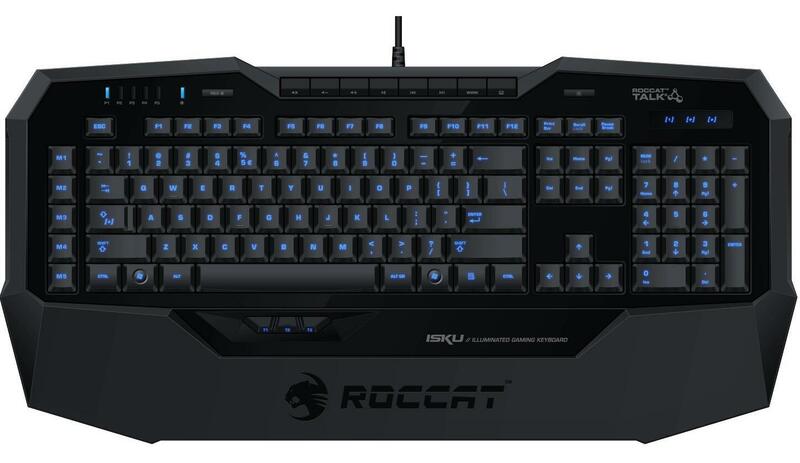 Its more immediate response makes gaming or typing quicker, by pressing the keys more softly; moreover, it lets you program simultaneous inputs on more than one key. A cheaper alternative is the membrane keyboard. It needs an harder pressure on the input key, whose response could not be immediate: it’s not expressly designed for high level competitions then. Technology lovers will appreciate, for sure, the backlit wireless keyboard, to play in every moment of day and night completely freely. Signal transmission in gaming keyboards could be done in two different ways: through mechanical switches, designed to provide an immediate touch feedback and a very engaging game experience. The best and more precise devices use mechanical switches, designed to provide an immediate touch feedback and a very engaging game experience. Usually, the switches you find on mechanical keyboards are a Cherry MX mark. Cheaper keyboards use silicon dome switches (membrane ones). Their response is slower, since an higher pressure of the key is required. 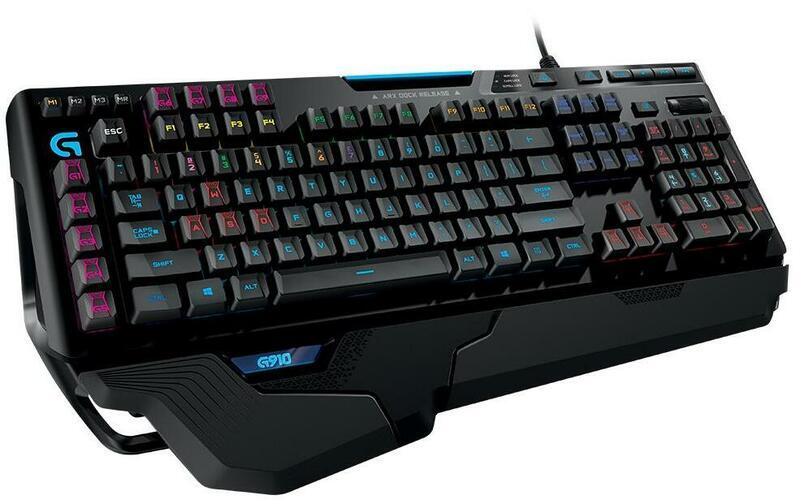 The price of gaming keyboards depends, obviously, on their features: let’s find out together. 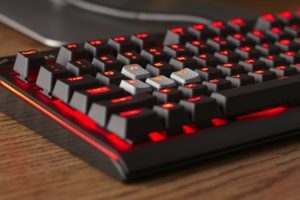 Some of the features that could seem almost superfluous on traditional computer keyboards, get a new meaning on gaming keyboards. The backlight, for example, isn’t just a way to make keys clearly visible in a dark room: it becomes a tool to highlight the most used features, such as arrows and WASD keys, for the two hands (or just left hand and mouse) control of movements. It’s also possible to customize the key by removing the plastic cap and swapping it with a different color one. The aim is letting every user customize their own symbol arrangement, making them more intuitive to use, depending on the game needs. Some keyboards let you remove the WASD keys only, other ones the arrows and numbers too. Then, there are some particularly advanced models that let you add macro functions and further customizable commands. Keyboards designed for some game categories offer better special features that the ones designed for a general use. Cooler Master offers you this extremely devastating kit. It’s about a keyboard and mouse combination, whose price is about 30$ It’s a successful combo for ones who don’t want to spend too much, and at the same time, complete their own gaming PC by our tutorial. Available with red, blue or green LED. The mouse is great, and could be the total 30$ worth just by itself, while we’re not really that sure about the keyboard. The keys are not visible, even during the day, if the backlight is disabled, and moreover, the noise is a little excessive. There are no additional keys, so we cannot consider this keyboard, the best one for this range. 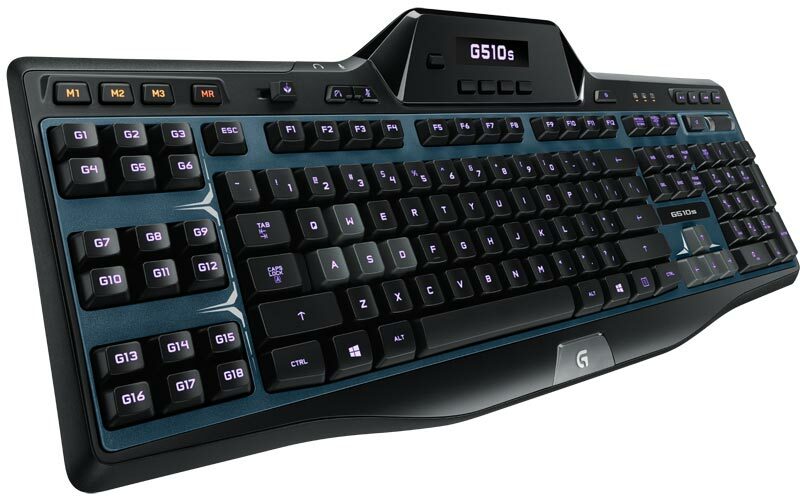 First choice by Logitech for gaming, a pretty good keyboard with many advantages. It has 6 macro keys (even if a little uncomfortable) and 3 profiles that will let you use more configurations at the same time and without going through the keys setting process again and again; plus, it owns a different color system for arrows and WASD keys, so it makes a quicker eye recognition easier. The backlight system, surely much better than previous models ones, makes this keyboard the best of its category. Excellent membrane keyboard for those on a budget who still want to enjoy the great quality of Razer. It is in fact a gaming keyboard with an extreme anti-ghosting system and is accompanied by a respectable and excellent software customization. 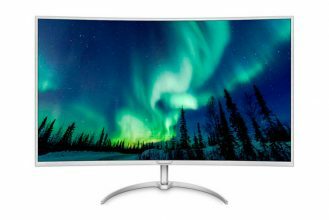 This is not a backlit model so at night you will struggle a bit to find the right buttons, if artificial lighting is not an option in your room. The support for the wrists is fixed but is also relatively compact. The price is a bit too high. For many players this is not such a real gaming keyboard, since it’s not mechanical but a membrane one. However, we think that Logitech K800 is one of the best wireless keyboard (or maybe THE best) to be taken into consideration for gaming, equipped, also, with great backlight with 3 different levels of white. The device can be charged through a micro USB input, and guarantees a 10 days of intense usage at least. The keys don’t offer you, of course, the same feeling as a mechanical keyboard’s one, but for users who want a wireless device there are no equal or better alternatives. It’s really nice of the backlight to turn on right when we put our hand close to the device, automatically, saving lots of energy and making the battery charge last longer. 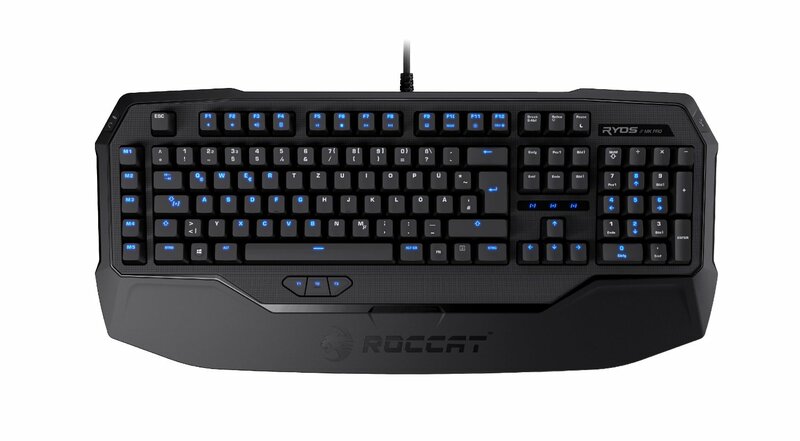 Roccat Isku is a membrane keyboard with a great quality/price ratio. The device is backlit (except for the upper function keys), with the opportunity to customize the brightness on 6 different levels, offering, then, a more comfortable game experience even in situations of low visibility. The backlight color is a very nice shade of blue, and for its price it would have been a bit excessive to expect something like RGB or similar. There are programmable keys and the possibility to set up macros quickly. For a membrane keyboard, the fingers feel is good, especially if compared to what other brands offer. The highest possible level. Whoever is looking for the best quality, can be sure he’s found it…or almost. 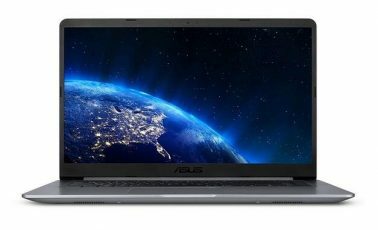 There are lots of advantages with this model, starting from the tiny display with many features, even if its compatibility is limited to a few applications still. Then, there are 18 freely customizable macro keys. We’ve also noticed a low brightness of the keyboard, and this could be a bit uncomfortable in the dark, even if the keys are still clearly visible on the whole surface without darker areas. All the top category devices are great, but if we should decide which keyboard is the best at the moment, our choice would be this one. Our choice about small sized gaming keyboards goes to Logitech G610, a minimal designed and compact device which, anyway, doesn’t exclude the numbers keypad. 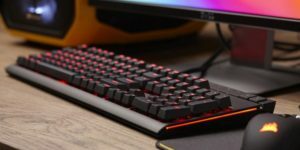 Although Logitech is trying to offer its Romer G switches, many users keep choosing Cherry MX and this keyboard is equipped with these last ones, in Brown or Red versions. Differently from G810 (with Romer G switches and RGB backlight), G610 opts for a white customizable backlight. A very respectable mechanical keyboard and such a premium category one, due to its price and features. There’s also a 1000 Mhz frequency polling and a really very low response time, just like the best gaming keyboards available on the market. Available in different versions with different backlight LED colors. The color, although, isn’t customizable. The various colors are Red, Blue and White for the backlight and blue, brown and red for the switches. The best gaming keyboard is not necessarily the one whose cost is the highest possible. In our tutorial we’ve trying to provide different advices for users who have many doubts about their next purchase. What’s your best keyboard? Do you want some personal advices? Leave a comment below and we’ll try to share with you our point of view about the best keyboard for you. Corsair Gaming K95 RGB shows the most advanced backlighting system available, not only for looking purposes (with some great result! ), but also, finally, able to offer an actual advantage in gaming for the user. 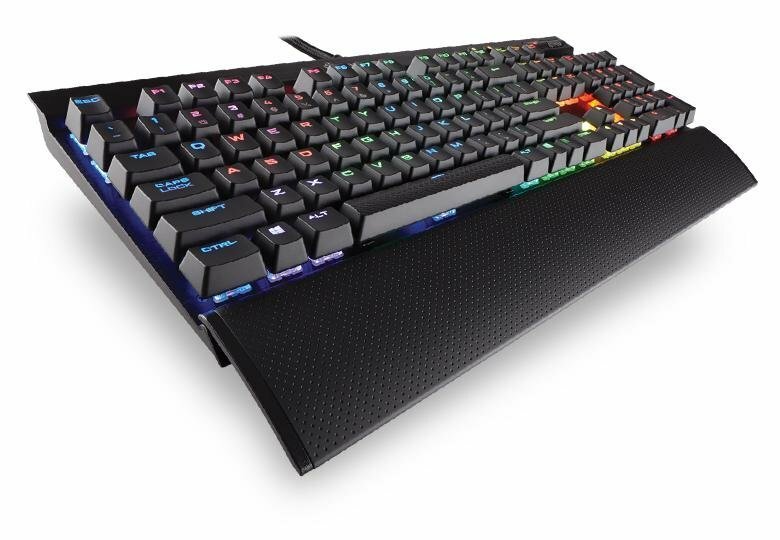 Thanks to its 18 extra keys and full programmability (no key excluded) this mechanical keyboard can turn in a giant special controller (with different features depending on the game), with specific instructions coded by a powerful interface like Corsair Utility Engine. The CUE is also one of the most complex softwares we’ve ever seen in terms of quantity of features offered, well-structured and easy to handle. Less expert users can easily feel confused the first time, but the Corsair tutorial about how to program, is detailed and specific, letting the user understand right away. 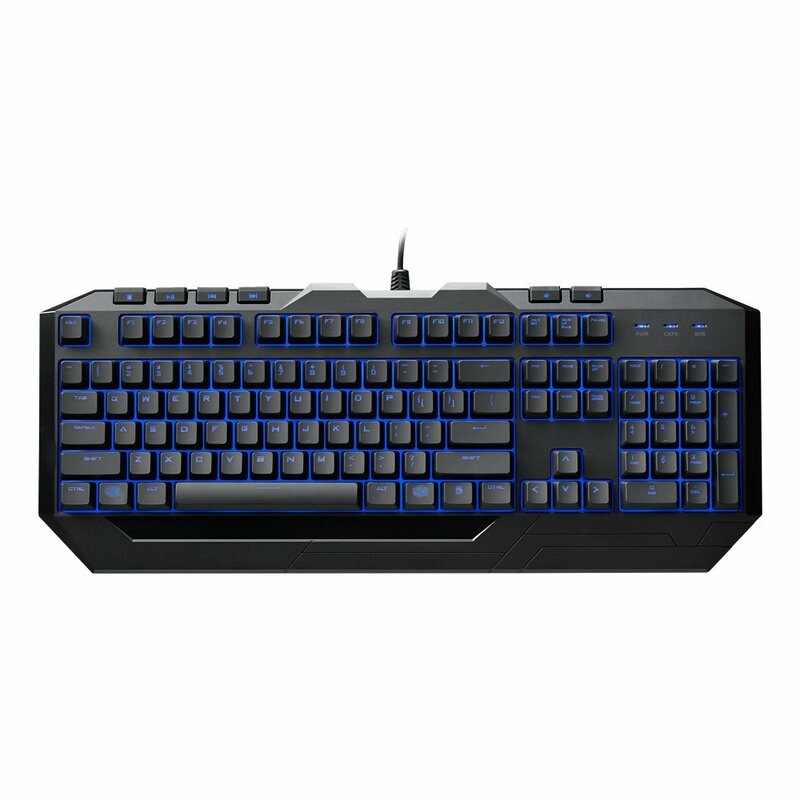 The K95 RGB turns out to be an excellent solution for veteran and pro (during free time still) MMO players, so its cost could make sense still, since it is 190$. Cherry MX Brown for ones who are looking for a middle way. Thanks to a comfortable wrist rests and no superfluous keys, K70 RGB offers a good experience to players who prefer RTS, FPS, GDR and action/adventure instead of MMOs. 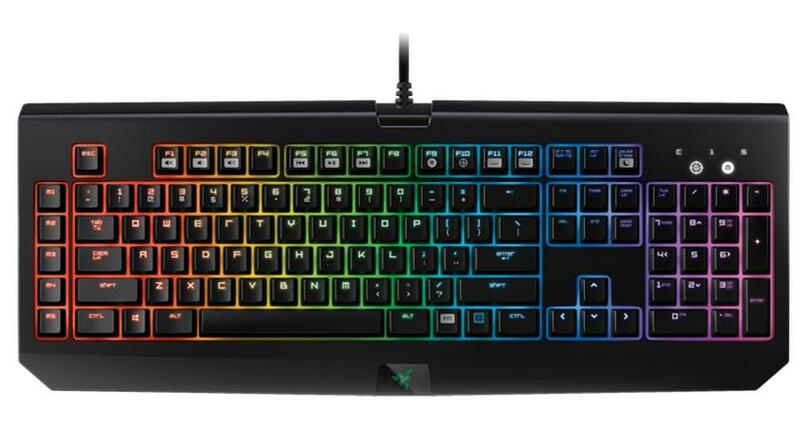 Moreover, the keyboards lets you program the color of each key, with easy matching with the rest of your gaming station. 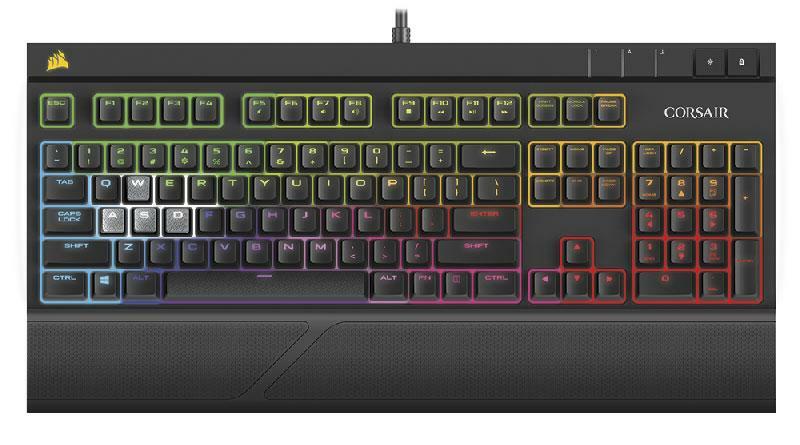 The SteelSeries Apex M800 is a gaming keyboard designed for FPS lovers. Thanks to its soft touch keys, due to exclusive SteelSeries QS1 switches, similar to Cherry MX RED but much easily to press. The six macro keys located on the left side are easily reachable even without looking at them and let you easily manage complex functions, such as abilities and magic rotation of MMOs. The final awesome feature consists of a great multicolor backlight system managed by SteelSeries Engine 3 software. Finding an high level gaming keyboard with Italian layout is usually something rare. When there’s one of the best gaming keyboards currently on the market is offering you that kind compatibility, then it’s just something great. We’re talking about Corsair Strafe RGB Silent. 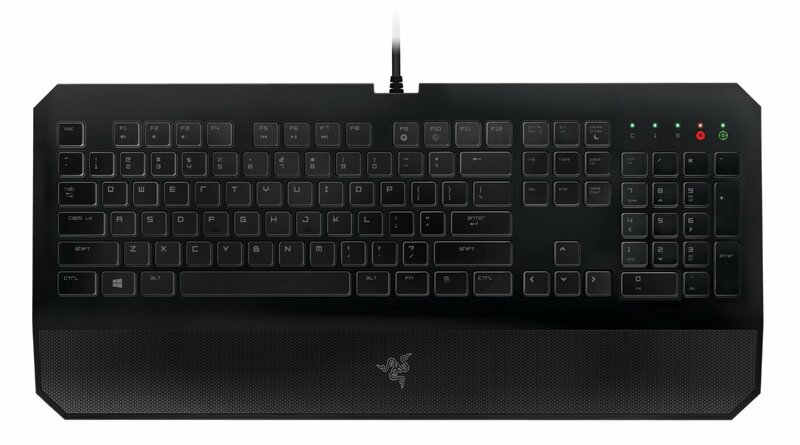 It’s an elegant and pretty expensive device, with backlight and everything you could expect from a gaming keyboard. But it’s also very different from the competitors: Corsair decided actually to use Cherry MX Silent switches, which muffle the typical “click” of mechanical keyboards, making this device much more silent and similar (just in some terms) to a membrane one, something you should consider if you share your room with someone, or if you generally wish not to disturb people around you during your gaming sessions. Add an RGB complete backlight, typical programmable keys and anti-ghosting support. It’s also possible to remove the wrist support. One of the best gaming keyboard on the market, with no particular lacks, but economically pretty out of most people’s reach. 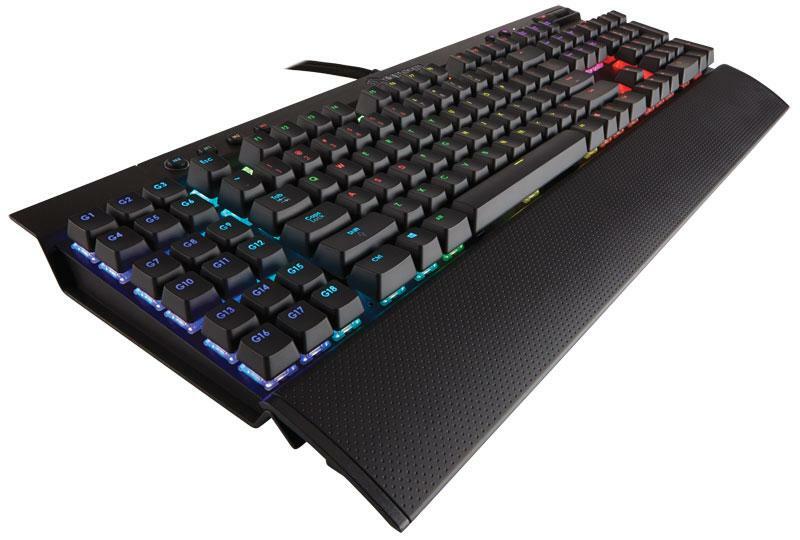 Visually beautiful, G910 Orion Spark is the top level solution by Logitech, one of the best mechanical keyboards clearly designed for all rpg online and MOBA gamers. The device uses Romer-G switches, internally produced and pretty similar, in terms of feel, to the more canonical Cherry MX Brown. As usual, there’s Logitech’s excellent software, which will let us set our device up and customize it among lots of options, being able, also, to set the backlight as it’s more comfortable to us. Recording different macros is pretty simple and quick, thanks to the experience gained by the company in this sector. A feature you should not underestimate is the possibility to mount a smartphone on the top side of the keyboard, actually adding one more screen, which will make our gaming experience better. Depending on our operating system (iOS or Android) we’ll download a simple app, that will let us keep under control data related to our PC or even watch videos. Corsair K95 is still our first choice when it’s about MMOs, but it’s a pretty expensive keyboard. A good alternative, and a little cheaper, is the RYOS MK Pro. This keyboard will not be remembered among the most beautiful available on the market, but MMO fans will be sure intrigued by the integrated ARM 32 bit CPUs, which let you record quickly and use up to 500 macros. The Easy Shift button also lets you remap the whole keyboard, and you can choose whether to enlighten single keys or groups of keys. Finally, a comfortable wrist rest (which unfortunately cannot be removed), an integrated audio jack, an USB hub and different kinds of Cherry mx switches (Black, Red, Brown and Blue). Razer BlackWidow Chroma achieves excellence in many fields, in front of a price that is unfortunately not affordable for all budgets. The device is not particularly suitable for writing, because at the moment there is no version with Italian layout.